Thomas Arnoldner was born in 1977. He studied business management at the Vienna University of Economics and Business and the Stockholm School of Economics. The professional career of Thomas Arnoldner started in 2003 at Alcatel Austria. 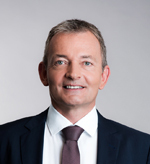 After several management positions in the company he took over as CEO of Alcatel-Lucent Austria in 2013. From 2015-2016, after Nokia acquired Alcatel-Lucent, he was a member of the integration team and developed the post-integration strategy for the combined company. From 2016-2017, he led Nokia's European growth strategy in the areas "Smart City", "National Broadband Programs" and "Public Safety" as well as strategic plans for main Nokia countries. From 2017-2018 he was a member of the executive board of T-Systems Austria GesmbH. Thomas Arnoldner takes over as CEO of A1 Telekom Austria Group as of 1 Sept. 2018. Contract Term until 31 Aug. 2021 with an extension option until 31 Aug. 2023. Alejandro Plater was born in 1967 in Argentina. He studied economics at the University of Buenos Aires and completed several business postgraduate studies in sales and executive development at Columbia University and Wharton School in the USA as well as at London Business School in UK. He began his professional career in 1991 as Risk Analyst at "Sud America Seguros" before joining Ericsson in 1997 as Sales Director for Argentina. Briefly afterwards he became Head of Business Development for several countries in South America. In 2004 he moved to the global headquarter in Stockholm, Sweden as Sales Director for the Americas. Two years later he was appointed as Sales Director for Mexico and the following year as Vice-President and Key Account Manager for major customers. 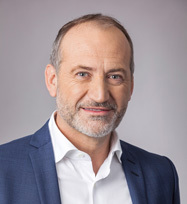 Alejandro Plater took over his function as COO of the A1 Telekom Austria Group as of 5 March, 2015 and assumed CEO responsibilities from 1 August 2015 until 31 August 2018. Contract term until 31. Aug 2021 with an extension option until 31. Aug. 2023. Siegfried Mayrhofer began his career at A1 Telekom Austria Group in March 2000. After holding various management positions (Head of Corporate Planning and Group Controlling, Controlling Fixed Net, Accounting Fixed Net) he was appointed CFO of Telekom Austria TA AG in July 2009. Siegfried Mayrhofer was appointed as of 1 June 2014. Contract term until 31. Aug 2021 with an extension option until 31. Aug. 2023. Marcus Grausam, born in Upper Austria in 1968, studied mechanical engineering at the Technical University of Vienna. After a few years as research assistant at the TU Vienna, Marcus Grausam started his career at mobilkom austria in 1998 as a sub-project leader for the introduction of a billing system. In 2006 he took over the area "Operation & Maintenance". In 2010, Marcus Grausam joined A1 Telekom Austria as Head of Operations. In this position he was responsible for the quality and stability of networks and services, management of the billing system, applications and data center topics, as well as housing, hosting, operating customer networks and information security. Since October 2012, Marcus Grausam took over the position of the CTO at A1, where he made important progresses for the technological future of Austria, including the extension of the fiber network, as well as introducing new technologies such as 4G, 5G or vectoring. 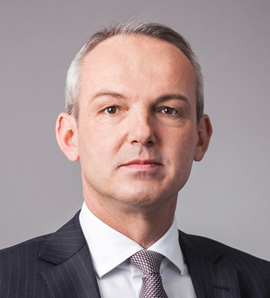 As of September 3, 2018, Marcus Grausam took over the function of CEO of A1 Austria. Jiří Dvorjančanský was born in 1969 in Karviná, Czech Republic, and graduated from the Czech Technical University in Prague and the Grenoble Institute of Technology. He then earned his MBA through the University Thunderbird EMBA program in Prague. Jiří Dvorjančanský started his successful career in the telecom industry in 1999 as Sales Director at T-Mobile Czech Republic. In 2002 he became Executive Vice President of Marketing Division, and he held this position until 2007. In 2008 Jiří was promoted to the Management Board of T-Mobile Germany, where he held the position of Executive Vice President of Marketing Division until 2009. Before joining the company Telefónica Czech Republic, he was the Senior Vice President of International Sales, Marketing and Customer Service Division at Deutsche Telekom. 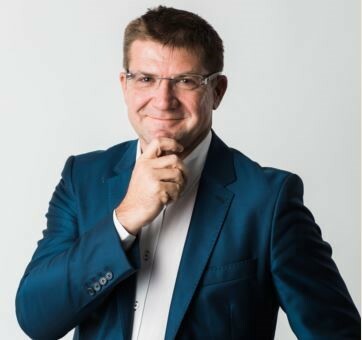 He joined Vipnet (now A1 Croatia) in August 2014 as President of the Management Board, and as a Board Member for Marketing, Sales and Customer Service. As of 1st June 2015 he is Chief Executive Officer of the newly formed Cluster Croatia and North Macedonia within A1 Telekom Austria Group. Helmut Duhs was born in Klagenfurt, Austria in 1971 and has one daughter. In 1990 Helmut Duhs got a degree of Engineer of Communications Technology and in 1993 graduated from University of Vienna as Master in Business Informatics. In 2002 he completed post-graduate study at Danube University with Diploma of Executive MBA. Helmut Duhs works since 1996 for A1 Telekom Austria Group in different managerial roles, starting within the financial sector. 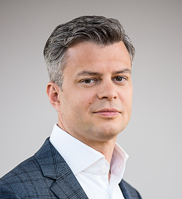 In 2004 he was appointed to the position of Chief Executive Officer of mobilkom austria group services GmbH and since then he is also a member of Group Leadership Team. 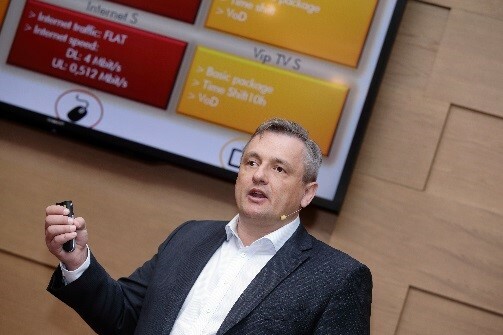 Since 2007 Helmut Duhs runs the Belarusian Segment of A1 Telekom Austria Group successfully, being recognized on local and international level. Dejan Turk was born in Maribor, Slovenia, in 1967. He studied marketing and finances at the Vienna University of Economics and Business Administration. He began his career as a restaurant manager at McDonald's Slovenija, where he later became CEO of the chain of restaurants in Slovenia and Croatia. Dejan Turk joined A1 Telekom Austria Group in August 2004, when he became the head of marketing and sales at Si.mobil. In August 2006 he was appointed Member of the Board responsible for market operations and from March 2007 to February 2014 he was the Chairman of the Management Board of Si.mobil. He took over position of CEO/CMO Vip mobile in March 2014. As of May 1st 2015 was appointed CEO/CMO of the new organizational unit "Serbia& Slovenia" within Telekom Austria Group. Alexander Dimitrov was born 1973 in Sofia. He holds a Master's degree in Electrical Machines and Equipment from the Technical University in Sofia and a Master's degree in Marketing and Management from the University of National and World Economy in Sofia. Alexander started his career in the cosmetic industry taking various leadership positions in Sarantis Bulgaria (1996 – 1999), Sarantis Czech Republic (1999 – 2000), and Intercosmetics (2000 – 2001). Alexander is Chief Executive Officer of A1 Bulgaria since October 1st, 2015. He has over 15 years of professional experience in telecommunications. Alexander joined Mtel's team from Vivacom, the Bulgarian incumbent telecom, where he was Chief Commercial Officer since 2008. 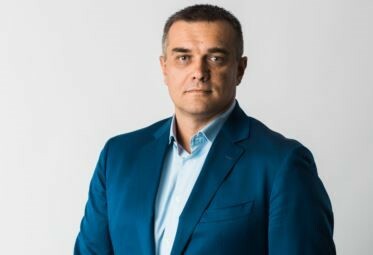 Previously, from 2001 till 2006, he was Chief Commercial Officer of Germanos Telecom Bulgaria, mobile products and services dealers' chain, and from 2006 till 2008 – a Chief Executive Officer of the company. Elisabetta Castiglioni was born 1964 in Premosello Chiovenda, Italy and holds a PhD in Business Administration from Munich Technical University and an MBA from Ludwig-Maximilians-Universität in Munich. She has a proven track record of delivering growth in complex and innovative businesses. In her role as CEO of Siemens Global Media Business, a unit of the Group´s IT Solutions and Services, she developed a diversified global business, serving top tier media and entertainment clients worldwide. Prior to that, Elisabetta was Executive Vice President Europe for the Siemens Cordless Business Unit. At MCI – now Verizon Business - she was EMEA Director of Product Marketing launching cutting-edge Data Communications solutions for the corporate market. She also oversaw the rollout of MCI's network expansion in Europe and Asia-Pacific. 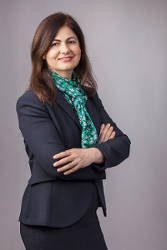 Having served as a Member of the Supervisory Board of A1 Telekom Austria Group, Elisabetta has already known our company for three years, before joining A1 Telekom Austria Group as CEO Digital Business in June 2016. Eva Zehetner studied International Business Administration at the University of Vienna. Parallel to her studies she began her career at HP, where she initially worked on various HR projects. After completing her studies, she worked in finance department for more than three years before returning to HR and working as an HR Business Partner. She also worked for HP Technology Services, later in an international role. 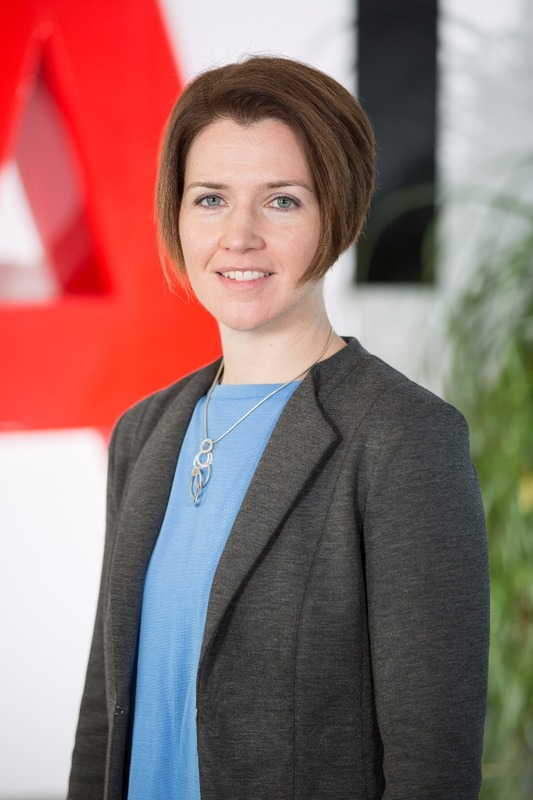 In 2011, Eva Zehetner joined the A1 Telekom Austria Group and became Head of Compensation & Benefits at A1 and A1 Telekom Austria Group, where she was responsible for the introduction of a group-wide job architecture, the implementation of a new flextime model in Austria and the group-wide performance management system.